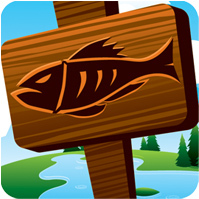 AppsForAnglers.com launched three more state-specific fishing apps for iPhone & iPad. iFish Pennsylvania, iFish Missouri and iFish Illinois are all now available, giving anglers an all-in-one app for freshwater fishing. AppsForAnglers.com unveiled their summer edition of the iFish Magazine earlier this week. The Free Digital Magazine has already been viewed by over 15,000 savvy anglers and can be downloaded from any of the iFish Series of Apps, or viewed online at www.iFishMagazine.com. AppsForAnglers.com launched three more state specific fishing apps for the iPhone and iPad. iFish Alabama, iFish Kentucky and iFish Ohio are all now available, giving anglers an all-in-one app for freshwater fishing. AppsForAnglers.com recently launched five more fishing apps for individual states across America: iFish California, iFish Tennessee, iFish Wisconsin, iFish Michigan, and iFish Georgia all are now available for iPhone and iPad. iFish New York is now available for the iPhone and iPad, featuring detailed information for freshwater fishing on over 4,000 lakes, ponds and reservoirs across the state. AppsForAnglers.com launched the latest in their iFish series of apps. iFish Minnesota is now available for the iPhone and iPad, featuring detailed information for fishing on nearly 10,000 Minnesota lakes, ponds and reservoirs. The App Door, developers of several successful outdoor apps, recently launched the latest in their iFish Series; iFish Florida is now available and lets anglers of all ages and skill levels know When, Where and How to fish a lake in Florida. iFish Arizona is now available for iPhone and iPad. Featuring detailed info on over 1,000 water bodies across Arizona. iFish Texas is now available for iPhone and iPad. Featuring fishing reports, hotspots, lake maps, fish log & detailed info on nearly 8,000 water bodies across Texas.